The Maui Wave defeated the Vancouver Cobras, 7-2. Earning player of the game honors was center fielder Esteban Álvarez, who went 2-4 with a home run, while adding 4 RBI and scoring once. At 39-32, Maui is in third place in the National League Western Division. 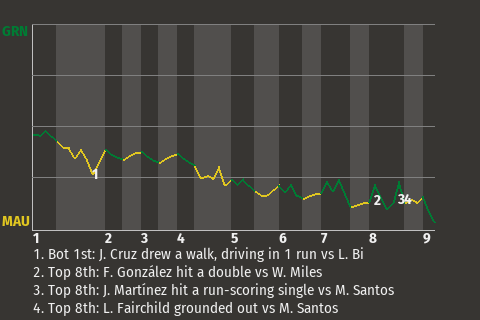 Álvarez had a big at-bat with the bases loaded in the bottom of the seventh inning, when he hit a grand slam. The Wave went on to win. "It was a solid team effort and we'll try to keep this momentum going," Álvarez told reporters after the game.